As a community of believers, we at FMM are charged with a social mission: to work with the structures of charity and justice to promote human dignity and defend our society’s most vulnerable. As such, on the evening of Thursday, November 22nd, a group of FMM staff and students continued the tradition of participating in a Sandwich Run. The Sandwich Run is an organized project during which volunteers deliver nutritious bag lunches to members of Toronto’s homeless community. This experience reminds us of the mercy God has shown us: “Be merciful, just as your Father is merciful. Do not judge and you will not be judged; do not condemn and you will not be condemned; forgive and you will be forgiven; give and it will be given…For the measure you give will be the measure you get back.” (Luke 6:36 – 38). 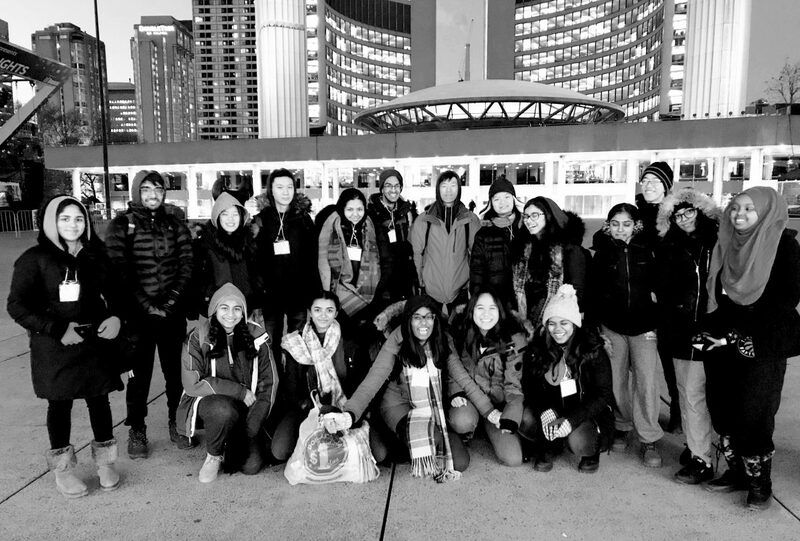 This most meaningful opportunity for FMM staff and students was a building of bridges between the faith community and the street community, putting the needs of our poor and vulnerable first. Thank you to the participating staff & students for showing us some of the many ways to go about building a just society, living lives of holiness amidst the challenges of modern society.